Halcyon Hospice is committed to a standard of excellence in providing sensitive, patient centered health care to hospice patients and families. Hospice care does not seek to cure, does not seek to hasten or prolong, but instead offers comfort and support for patients and their families. Hospice facilitates emotional and spiritual growth while physical conditions change. Hospice care is provided everywhere. The hospice team specializes in the physical, social, spiritual and emotional care of the patient and family, with professionals and volunteers available 24 hours a day, seven days a week. Hospice care honors the potential for growth in this cycle of life, bringing a clinically-directed, interdisciplinary team to nurture, support, and heal during the last stages of an illness and bereavement period. Non-discriminatory, hospice offers palliative care without regard to age, gender, nationality, race, creed, sexual orientation, disability, diagnosis, availability of a primary caregiver, or ability to pay. 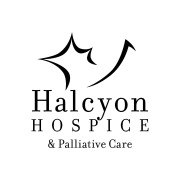 Would you recommend Halcyon Hospice and Palliative Care?